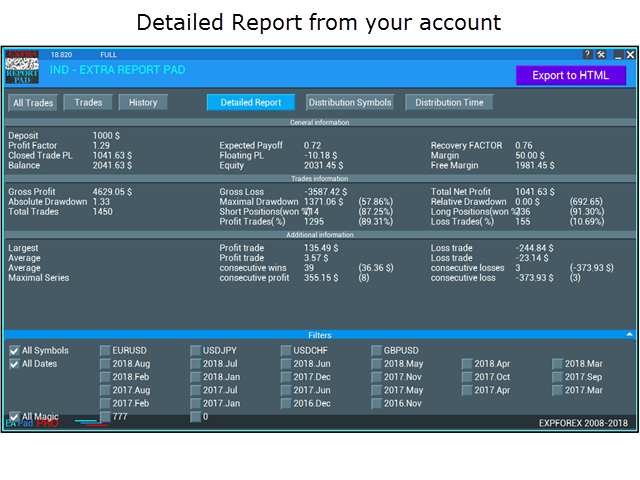 This reporting app it's a very useful tool to analyse the trades order history.The "Time" button that show the profit/entry along the time It's interesting too. It has a very nice graphic form. You made as usual an excellent job! 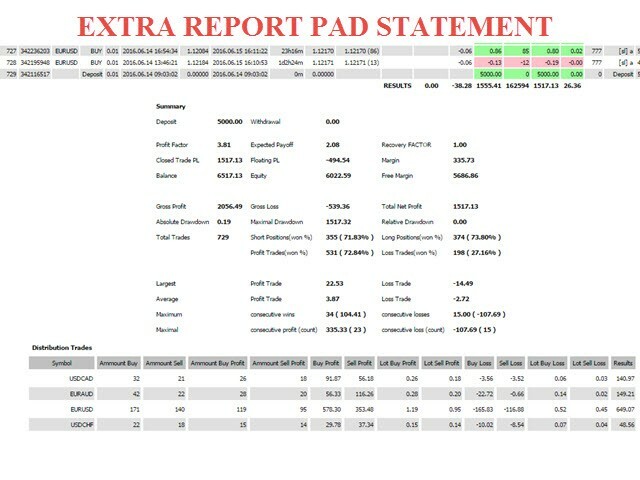 dear Vlad, THX for this DETAILED INDI, it will help for ALL TRADERS !!! Congrats !!! Amazing support. I had an issue with the display of the Money value. He fixed it in minutes and updated the file.. 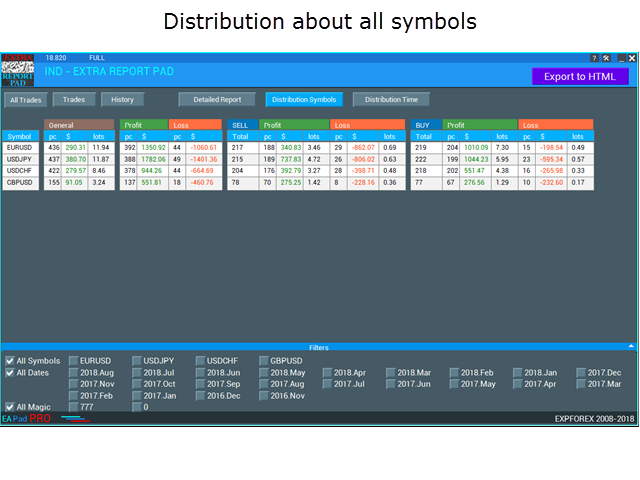 Wonderful reporting tool. Had an issue at first whereby not all trades were showing but after a couple of email exchanges with Vladislav, he kindly reviewed it and fixed my issue. Very helpful and prompt in getting back. Отличный индикатор. Есть некоторые помарки, но в целом - отличный инструмент для анализа счета. mon SL et TP profit ont été bloqué avec cet indicateur , dommage je le trouvais bien ! Как и все работы Автора. Заказываю себе советники у Владислава - всегда будет сделано лучше, чем мое техническое задание. Сильно рекомендую данного программиста. ОСОБЕННО, если у вас серьезные требования. Довольно таки нужная вещь,спасибо автору за труд! 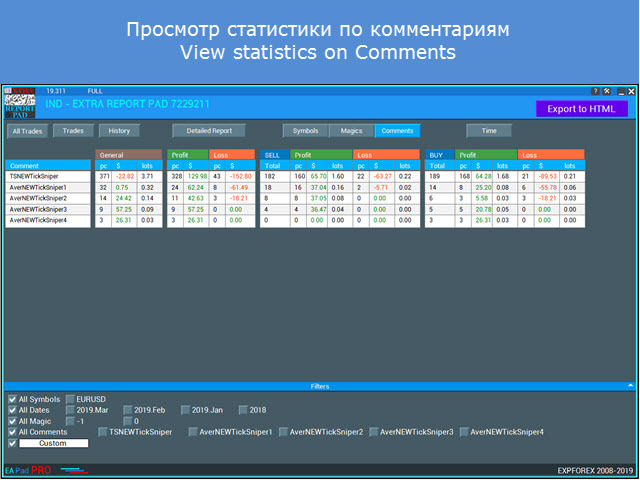 The error of profit display on some accounts with the commission is corrected. 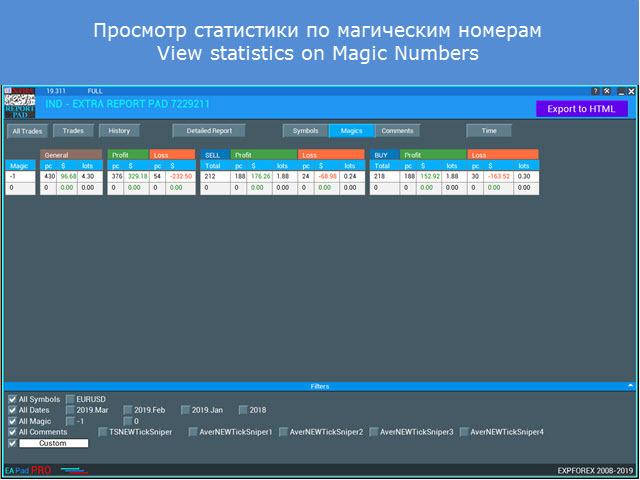 Statistics will be collected only when the window with the indicator is active! Filter function by comment is changed. Only the 20 most frequently used comments will be shown. 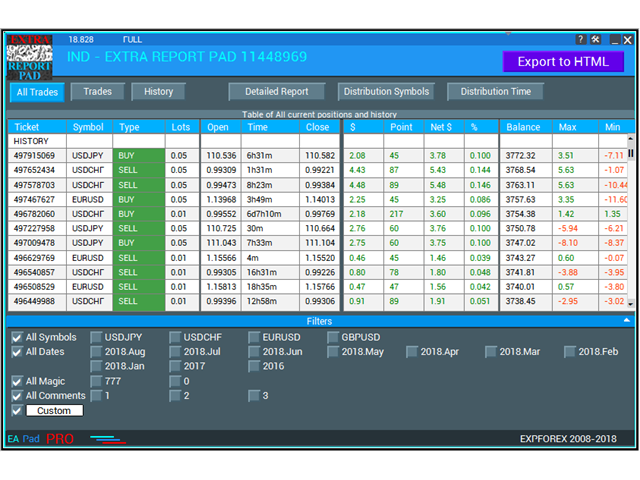 Changed the color scheme of the HTML page (highlighting the Stoploss / TakeProfit closing), Leveraged currency pairs are highlighted. Fixed bugs reported by users. Sort by date modified. If the position was opened last year, then the filter is carried out over the past year. Full redesign of the indicator! 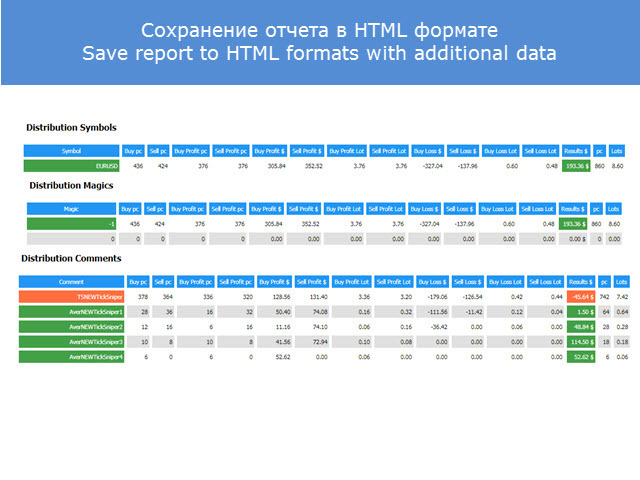 Added the 'EXPORT to HTML' button downloading the entire report from the chart to a separate HTML file. All trades are sorted by the filters applied in the panel. 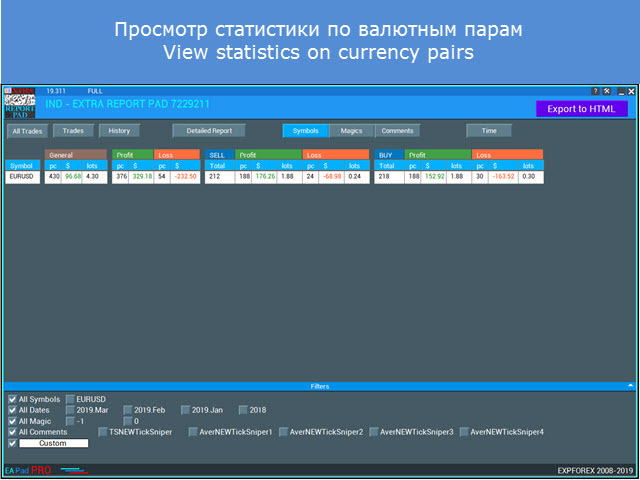 For example, you can select only one currency pair, a certain magic number or a certain month. 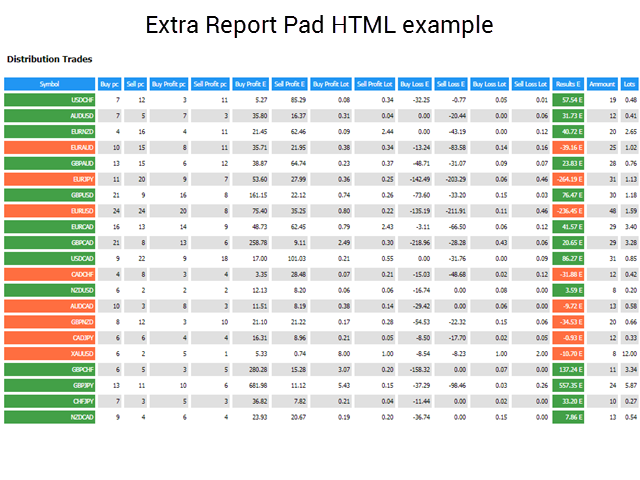 The generated report is to contain only sorted data. 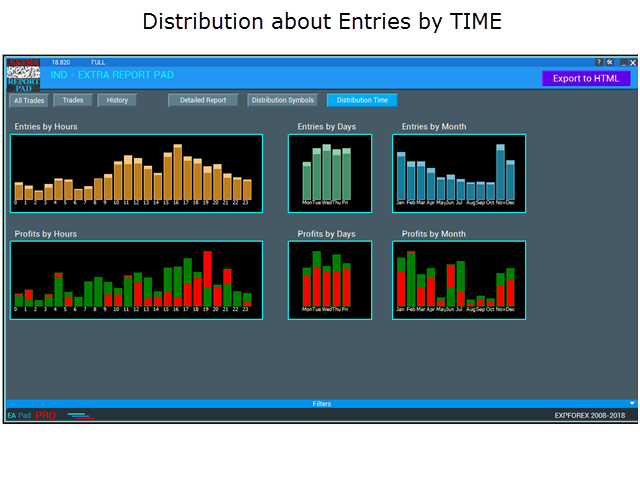 Added the 'Distribution Time' tab for distributing the trades by hours, days and months. with an indication of profit and loss.